How Do I Choose the Best Decanter Set? A wine decanter should have an appealing design and be clear, to allow a view of the wine. 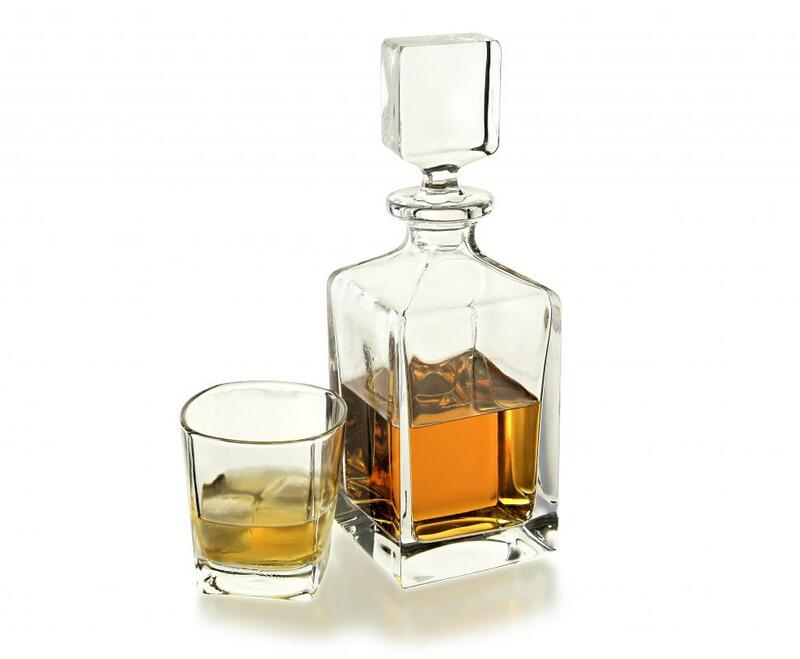 Decanters meant to hold liquor like whiskey or scotch are generally for decoration only. Before you choose the best decanter set for your purposes, determine what you will be pouring into the decanter. The decanter set you choose for scotch, for example, will be different than the set you choose for wine. Decanters used for scotch are more decorative than wine decanters, since scotch does not need to breathe the way wine does. A scotch decanter is mostly decorative, while a wine decanter is used to allow the wine to breathe and develop more complex flavors. It is also used to help separate the wine from sediment. Once you have determined what you will be using the decanter set for, begin to research different designs and all-inclusive kits. Most decanter set varieties include the decanter itself as well as two or more serving glasses. A wine decanter is not likely to include a stopper, while a scotch decanter will almost always include one. Scotch is more likely to stay in the decanter for a long period of time, so a stopper will be necessary to help keep oxygen away from the alcohol. 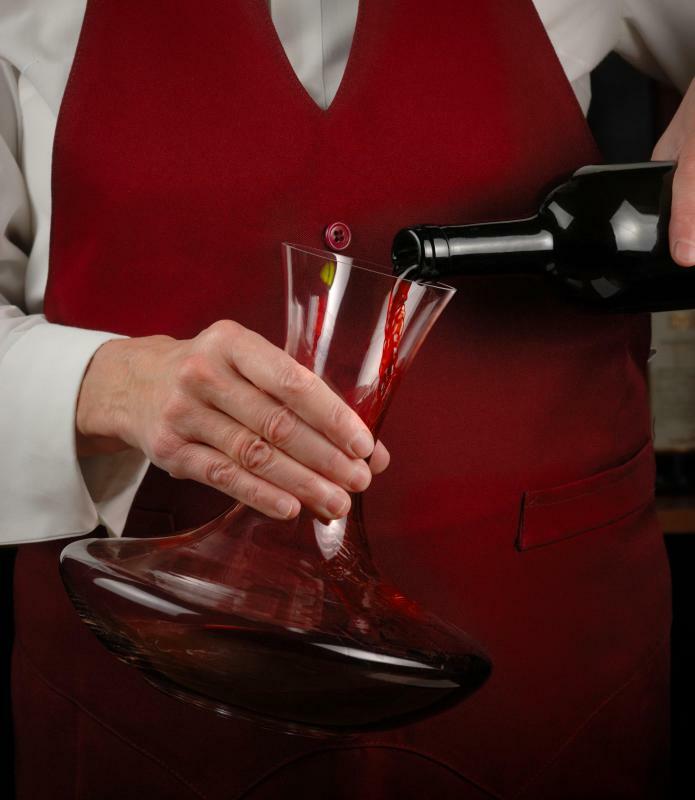 Wine is only decanted when it is ready to be served, so no stopper is necessary. A person is unlikely to stop a wine decanter to save the wine for later. When choosing a stopper for a scotch decanter, be sure to choose one that fits snugly to prevent oxygen from entering the decanter. While cork forms a tight seal, it is not the most durable choice; try a crystal or glass stopper instead. A wine decanter set is likely to be made of glass, though many are made of crystal as well. Crystal decanters will be far more expensive, though they offer the clearest view of the wine inside the decanter. Glass works just fine as well, and this decanter set is likely to be far less expensive. The shape of the decanter and accompanying glasses will vary by manufacturer, so choose a design that is appealing to you. More importantly, however, choose a design that is easy to hold and pour without spilling or losing control of the container. Some sets may come with a serving tray as well. This is more common with scotch decanters than it is with wine decanters. The serving tray that comes with a crystal decanter set is likely to be made from high-quality metals that are attractive and durable. You should be prepared to pay a fair amount for such sets. Wine decanters do not usually come with trays, though trays can be bought separately to go with a wine decanter. What Are the Best Tips for Liquor Pouring? How Do I Choose the Best Whiskey Decanter? How Do I Choose the Best Decanter Stopper? What Are the Pros and Cons of Using an Old Decanter? How Do I Choose the Best Crystal Decanter? How Do I Choose the Best Liquor Decanter? What Are the Benefits of Using a Glass Decanter?